Thank goodness for inquisitive friends. Otherwise, who would ever take the exit off I-15 towards Hamer, a flyspeck of a town north of Idaho Falls? 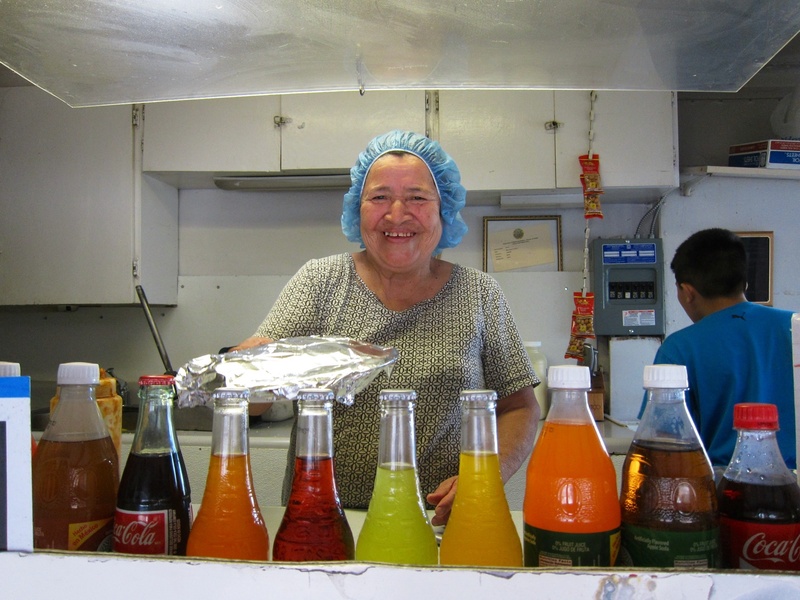 Just look for a little roadside taco stand before you get into town, Colin and Liz tell me. Sure enough, there it is—a little lean-to shack off a van, though at first glance I couldn’t tell if it had been abandoned or was just vacated. But a small sign says “open”, so I wander around back and look up to see a little old lady in a hairnet hustling towards me from a nearby house. “Are you open?” I ask. “Si.” My Spanish is about as good as her English, but it doesn’t take long to scan the brief menu board and order tres tacos, two pork and one beef. Cilantro? Si. Radeesh? Si. Salsa? Si. 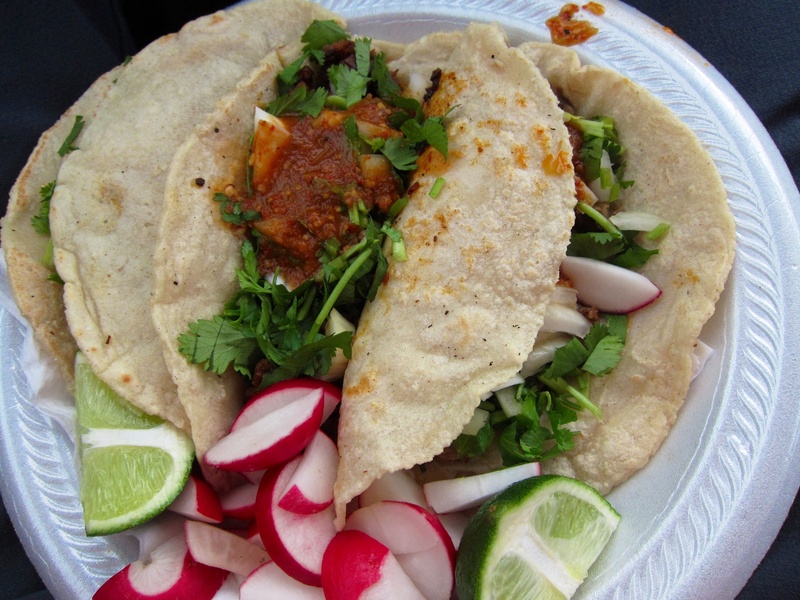 I soon have a paper plate loaded with steaming, flavourful and piquant fillings atop fresh tortillas, all for $5. I’m not really sure of the name, Rico Taco, maybe? The hours and exact address? Who knows. It doesn’t matter. Just go. It’s a delightful experience and as authentically Mexican as you’ll get, certainly in Idaho, short of being invited into her kitchen. This entry was posted in Hamer, Idaho, Restaurants and tagged Hamer, Idaho, restaurants on April 8, 2013 by bcorbett907.